Last July, I penned a primer of sorts on how to make a basic risotto. While this can still be used as a reference, the recipe below has a few tweaks to the process that I thought were necessary to ensure that the star ingredient shined. 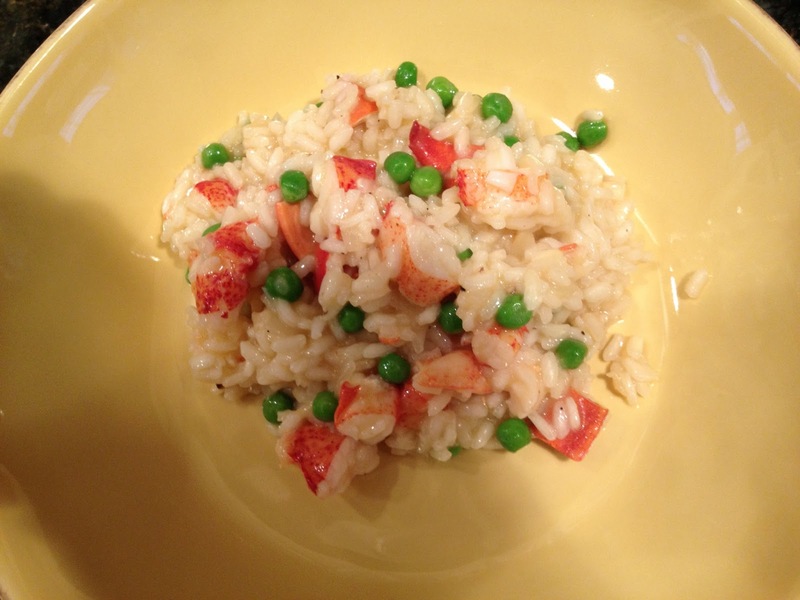 I also used butter in this recipe which I typically do not use in other risotto. However, I thought the butter would help season the rice and complement the lobster since I did not want to add cheese to the dish. Saute the onion in a bit of olive oil until soft. Add the rice and “toast” for about 1 minute while stirring constantly. Warm the broth and ladle it into the rice one ladle at a time until it’s absorbed. It’s no more difficult than that. About half way through, I added the stick of butter and seasoned with a bit of sea salt. 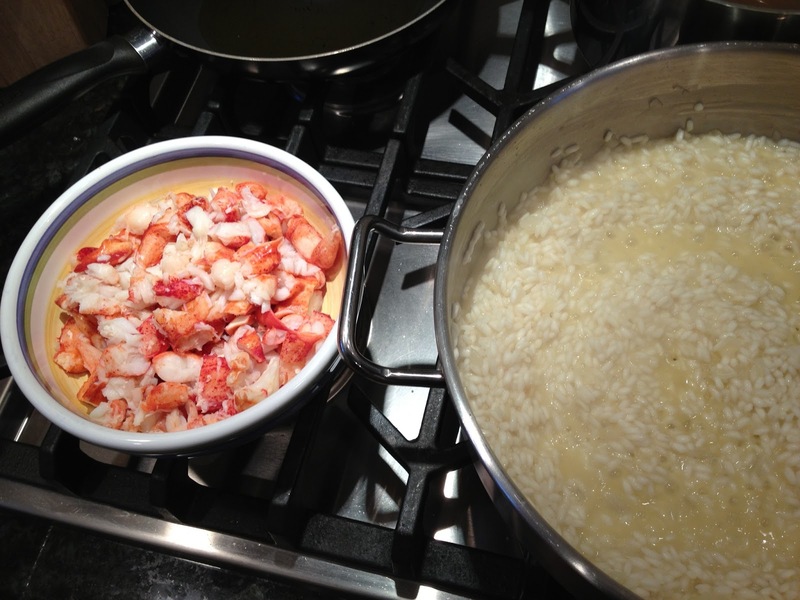 Once the rice is al dente, stir in the Lobster and allow to warm through. Add the frozen peas for color – use them essentially as an “herb” and add as much as you like. They’ll cook through in less than a minute. Serve in warm bowls. The finished dish was delicious; between the firmness of the rice, the richness of the lobster meat, and the silkiness added by the butter, our Guests® raved about this “Primi”. What to drink? Well, this dish was served as part of a 2008 Barolo Dinner that I hosted. My report on the wines from that vintage will be forthcoming soon. Suffice to say, that despite the counterintuitive nature of the pairing, it worked beautifully with several of the Barolo tasted. If whites are your thing, I can’t imagine a better pairing for a buttery Chardonnay.